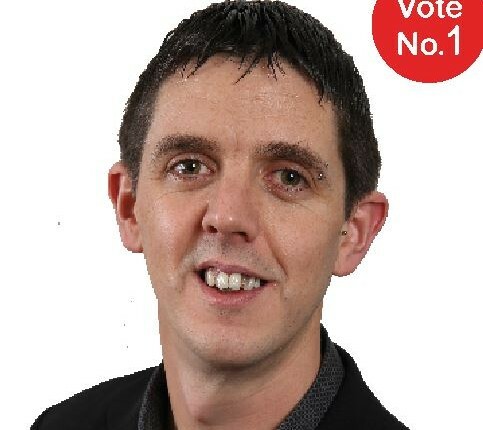 Here is a .PDF copy of Thomas Kiely’s election flyer. I am a qualified Sheet Metal Fabricator who worked on jobs in Ireland & abroad for over 12 years. Originally from Mallow in North Cork I have been living in the City for over 7 years with my partner and kids. Currently I am a stay at home dad of 3 small boys and have had to fight for resources at every corner for my Autistic Son. I have stood with the people in the battle against Irish Water, another unjust tax, I have been organising and attending protests Nationwide. Last year I ran as an Independent candidate with the backing of The People’s Convention in the Local Election, I missed out by just 2 votes. I feel that the people are not being represented at the moment, we keep hearing that Government has to make hard decisions, but for who?? Not for themselves that’s for sure, we keep hearing them say ‘We feel the people’s pain’, but what pain do they feel realistically?? Our Constitution states you vote for someone to Represent you, it’s time we started holding these people accountable, they work for us not the other-way around! If the people of Cork North Central vote for me there is one unique thing they’ll get that no one else is offering, The people will have the say on EVERY issue that arises during my time as a TD. The people will decide what way I will vote, so the people will decide on everything going forward. Now imagine if every TD gave their Constituency this free vote on all issues that affect us, would we be in the situation we are in now?? Crippling our own people with more taxes & Levies while the people who made these decisions ride into the night with their massive pensions. Enough is enough, people are looking for change. Why vote for the usual parties who promise everything then blame the last government, again with no accountability. I want to be that change, if you put your trust in me I will fight for you on all issues Local or National, with the people’s best interest at heart – that’s my promise. This entry was posted in Cork North–Central, Dáil Elections and tagged Cork North-Central, Irish Water. Bookmark the permalink.